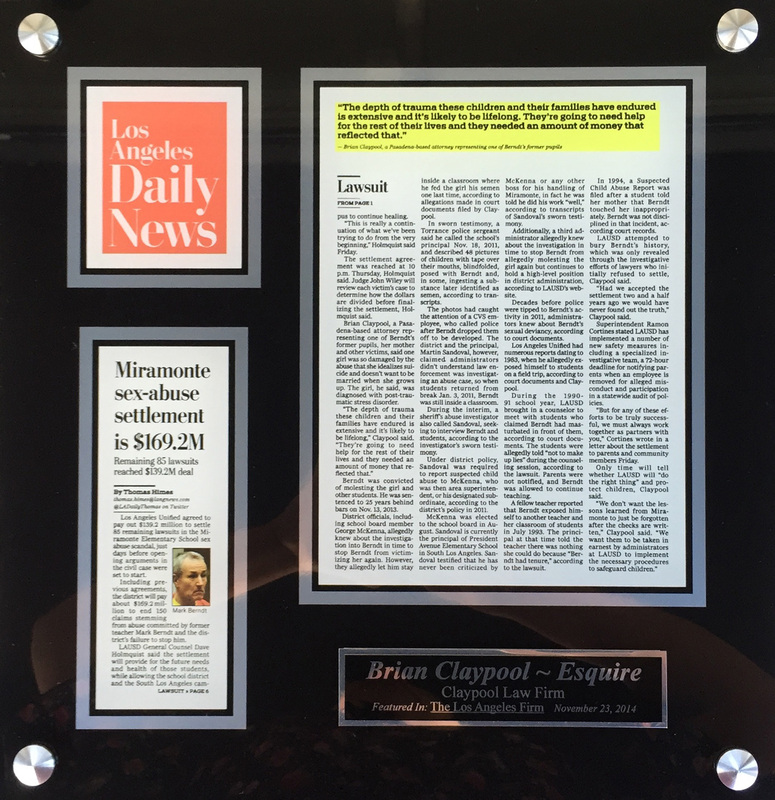 Mr. Claypool has been a child advocate over the past decade culminating recently with his lead role in the Miramonte case orchestrating a $140 million settlement which is the largest in U.S. History in a single child abuse case. 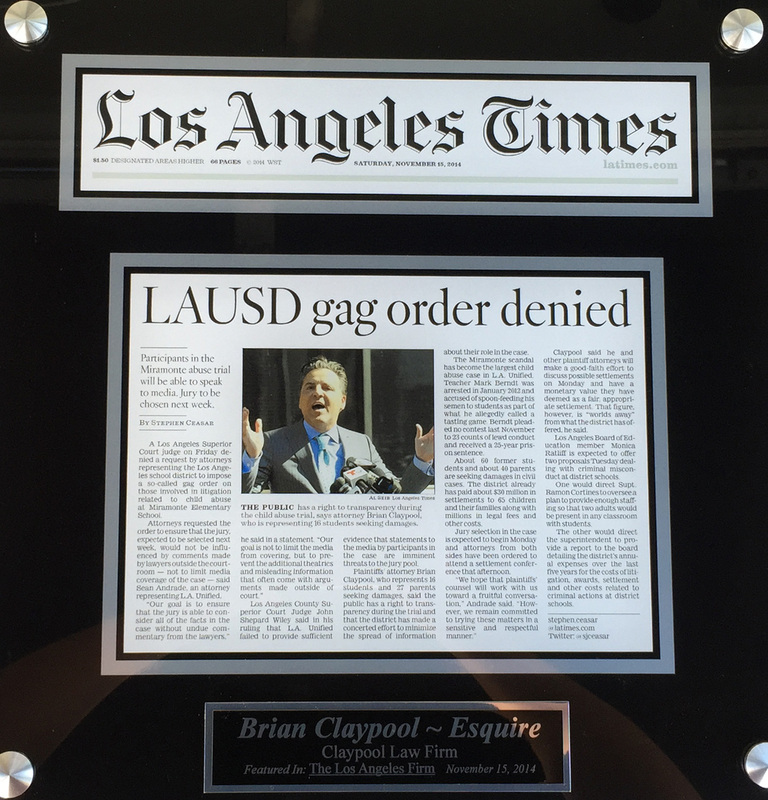 Mr. Claypool's firm along with two other law firms collaborated over a 3 year time frame tenaciously fighting against upwards of 15 lawyers for the Los Angeles Unified School District in a relentless quest for the truth. In the end, the colossal landmark financial settlement paved the way for crucial policy changes at LAUSD such as informing parents within 48 hours of a teacher being investigated for child sexual abuse and immediately removing teachers from the classroom during an investigation of child sexual abuse. Mr. Claypool also solicited President Obama to investigate the LAUSD and succeeded in having the US Department of Justice open a file on the Miramonte case. Mr. Claypool was unwavering in his desire to promote transparency during the 3 year litigation process something which the LAUSD resisted. He played an important role in defeating a motion for a Gag Order filed by District lawyers. 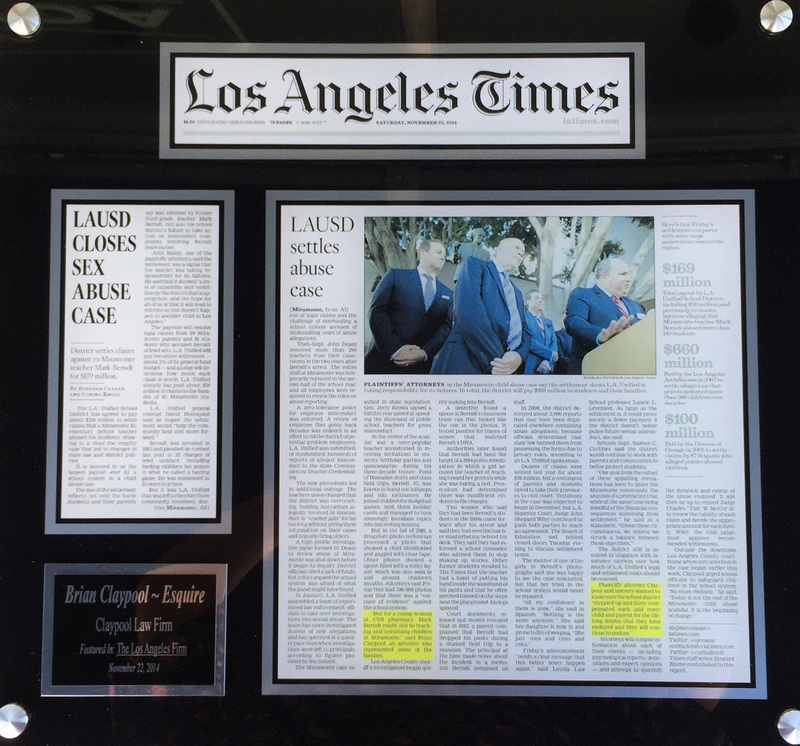 Mr. Claypool utilized the media (both radio and television) to call out LAUSD top officials especially when it was discovered that years of suspected child abuse reports were intentionally destroyed by District representatives. Mr. Claypool's quest to protect children continues post Miramonte as he currently advocates for special needs children subjected to sexual abuse by teachers, other students, other minors and adults victimized by sexual assault by school staff or other students.